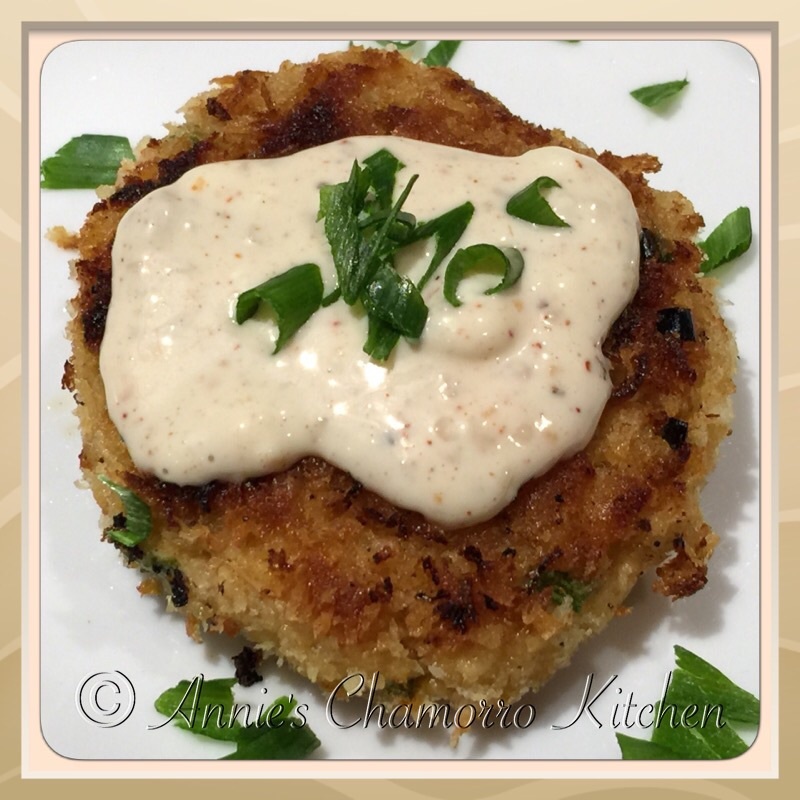 Salmon cakes are my take on one of my favorite seafood dishes — crab cakes. These savory patties are crisp on the outside, thanks to a quick pan-frying, and moist and flavorful on the inside. To finish it off, top with a dollop of lemon-garlic aoili and a sprinkling of green onions. Mmmm mmmm mmmm…these are soooooo good! I usually make this for a meal, but you can easily make these into appetizer-sized portions. This recipe makes between 10-12 salmon cakes, depending on how big you make them. 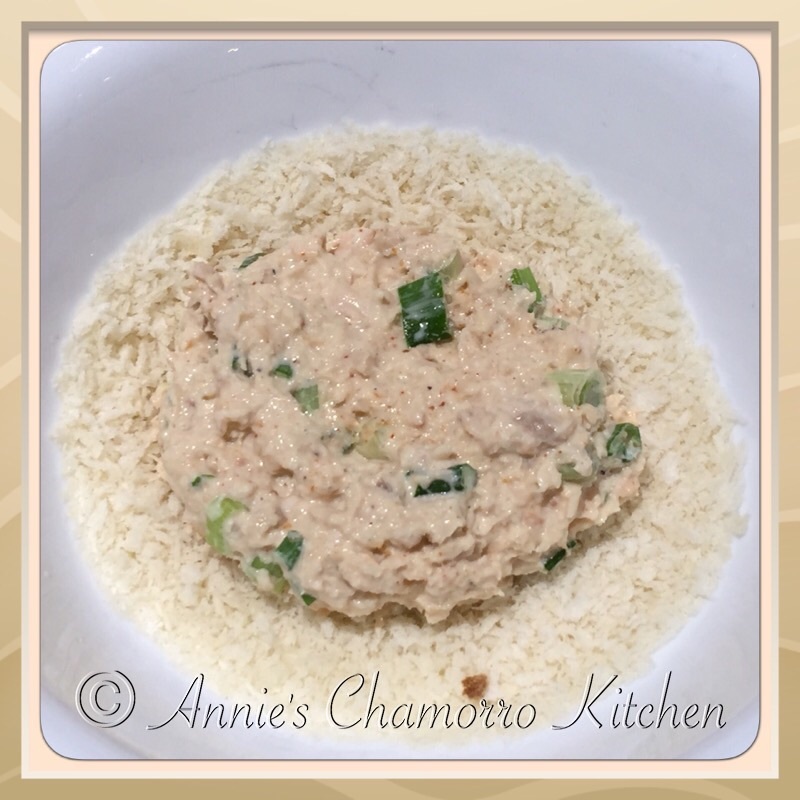 This is a quick and easy version, using canned salmon. I’ve also made this using fresh salmon. To prepare fresh salmon, bring about 2 cups of broth (seafood or chicken) to a boil in a small saucepan. Add boneless, skinless salmon pieces to the boiling broth. Cook until done, about 6-8 minutes, depending on the size of the salmon pieces. Let the salmon cool then use a fork to break the salmon apart into small chunks. You’ll need about 1 1/2 pounds of fresh salmon for this recipe. Start out by making my super-simple lemon-garlic aioli. 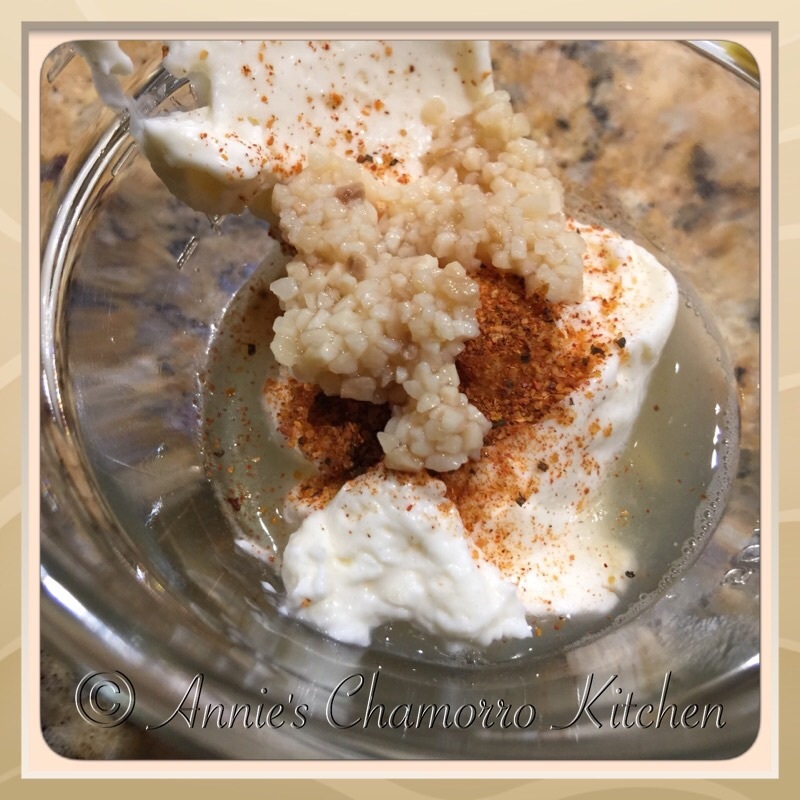 Mix all of the aioli ingredients in a small bowl and set aside. Once the aioli is prepared, start making the salmon cakes. 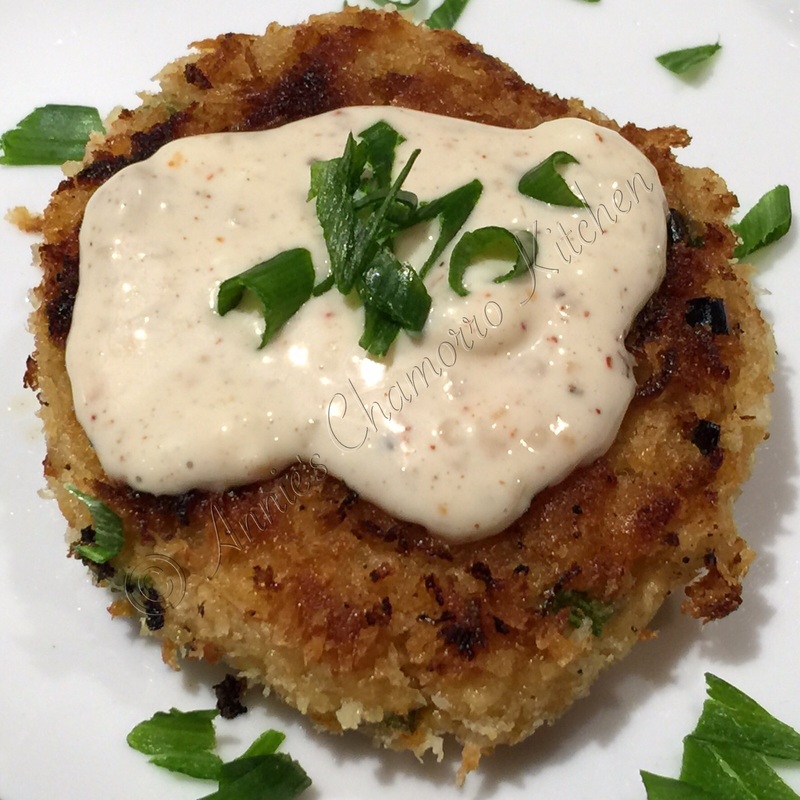 Place all of the ingredients for the salmon cakes into a medium-sized mixing bowl. Use a spatula to fold the ingredients together. Be gentle…the salmon breaks apart easily. 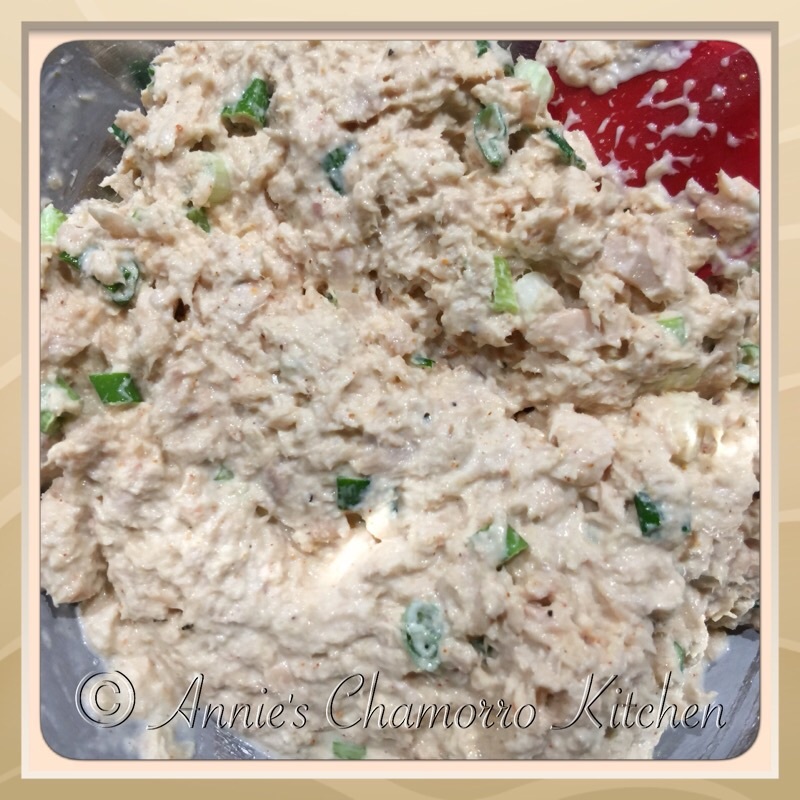 You want to still see small chunks of salmon after mixing. The mixture will be a little “wet.” This is perfectly okay and is key to creating tender and juicy salmon cakes after frying. Place the remaining panko bread crumbs into a small bowl. Form patties out of the mixture then generously coat in bread crumbs. 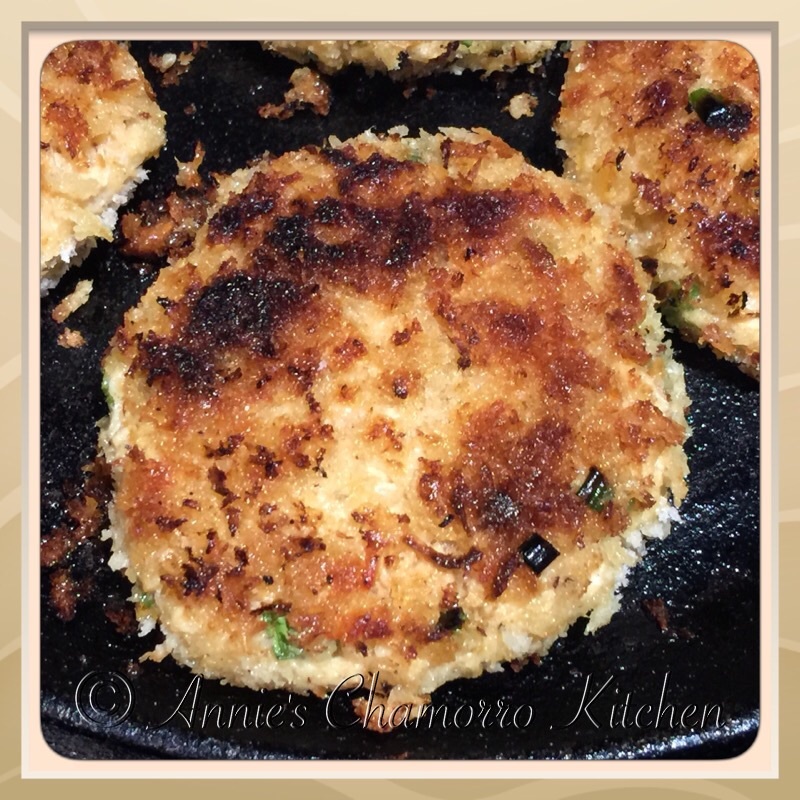 Place the coated salmon cake on a plate or tray; finish forming/coating the rest of the mixture. 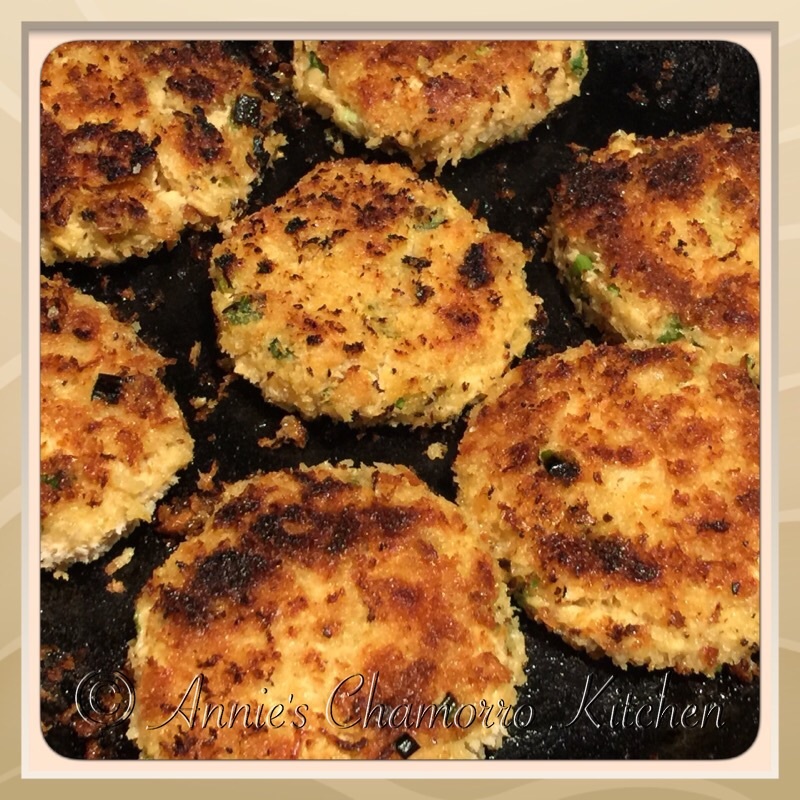 Because the mixture is quite moist, I find that refrigerating the coated salmon cakes for about 30 minutes BEFORE frying makes them easier to lift from the plate to the frying pan. When you’re ready to fry the cakes, place a couple of tablespoons of vegetable oil on a heated non-stick skillet. I actually prefer to use a cast-iron skillet when I make this. Pan fry over medium-high heat for about 4 minutes on each side, or until golden brown and crisp. Mix all of the ingredients together in a small bowl. Set aside. Drain the water out of the cans of salmon then place into a mixing bowl. 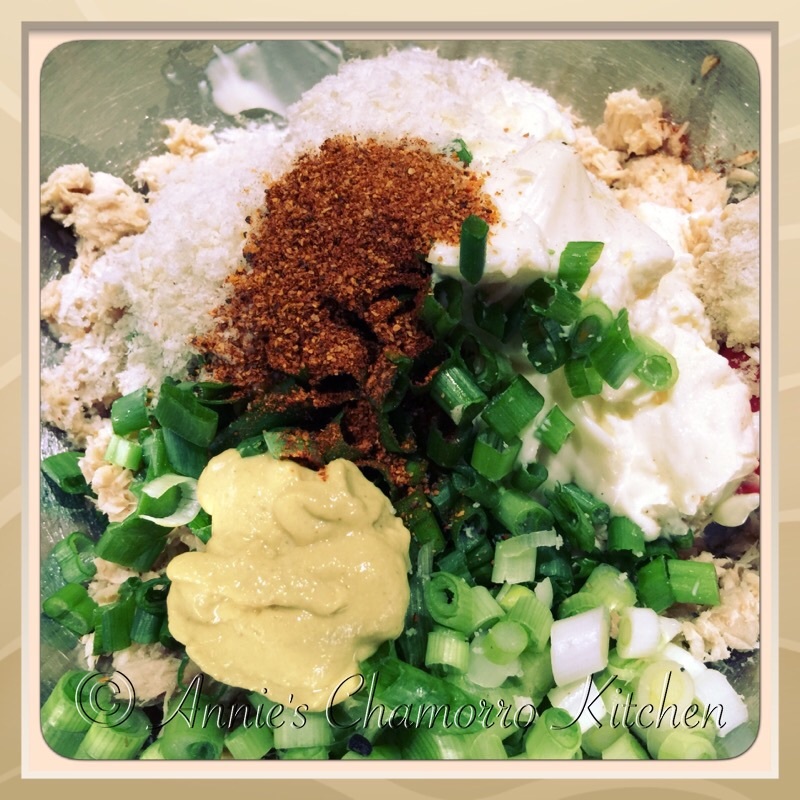 Add the ingredients for the salmon cakes to the bowl. Fold the ingredients together until combined. Form the mixture into patties, coating each one with the remaining 2 cups of bread crumbs. Heat a non- stick or cast-iron pan over medium high heat. Lightly coat the pan with vegetable oil (a couple of tablespoons will do). Pan fry the salmon cakes for 3 to 4 minutes on each side. Add more oil to the pan if needed. You can buy ready-made Cajun seasoning or you can make your own. Mix equal amounts of garlic powder, dried oregano and onion powder. Add (half the amount of the other spices) ground black pepper, cayenne pepper and dried pepper flakes.